Yasmine's note is characteristically kind, gentle and understanding, but the problem it brings to our attention is a serious issue. Uploading someone else's design to your own account on Spoonflower without explicit permission to do so is a violation of our Terms of Service. Apart from the legal issues that go into the operating agreement of a web site such as ours, there is another element — a bit harder to put into words — that is just as important. Let's call it the spirit of community. On Spoonflower — as on many other web sites you probably use in your daily life — we have the opportunity to share the things we create with one another. Sharing is not required, it's optional. It's also a privilege. Taking other people's work and representing it as your own is, obviously, a violation of the spirit of our community as well as of our terms of service. It's disappointing. I'm very, very sorry we didn't catch this issue before today, and also very grateful to Yasmine for taking it in stride. A few more notes on this before I send another email to the entire community (sorry mail servers!) explaining the error. * This design was not copied from Spoonflower itself. The thumbnails of public designs visible on our site are not large enough to print from and get a good result. Yasmine is generous enough to make her designs available for download on her own site, which is how this person got the design and uploaded it to Spoonflower – representing it as her own work. * We are awarding our contest prize this week — five yards of free fabric — to Yasmine. The other person's account has been suspended. * Spoonflower is all about sharing, but it's also about respecting copyright and the creative work of others. We try to make that clear. While we can't monitor every design that is uploaded to our site, we have zero tolerance for copying when it is brought to our attention. If anyone has any questions or comments, the best forum for them is probably in the comment thread for this post. Yikes! Yasmine was more than gracious, and I’m glad to have found her site through this post! But…Yikes! Please at least remove the copycat’s website from your previous post. This kind of thing makes me seriously sick… You would think indie designers had more class. I absolutely admire Yasmine’s graciousness, I doubt I could have been that nice about it. record of the whole affair, for good and bad. We’re bummed, too. I agree, Gila! I’m always surprised with alternative crafty folks are total asshats. I’m glad the criminal’s site was left up. It gave me the opportunity to let her know how I felt about what she did. You can let her know as well. I understand. I am still unsure if the huge amounts of traffic she will now get (although it will all be from appalled people like me) will not give her some kind of advantage/ kick in any case. What a story… and you think indie designers are honest, hard-working people. I remember a German on Dawanda copying an Etsy designer’s art, just basically painting the whole thing again with the exact same colors, then selling them as her own. By chance, I recognized the designs… and obviously informed the artist. What hurts me most is that people are stealing from their peers. And from people who often don’t have the financial means to fight back legally, the way Sanrio or Disney do. As a designer who has had their work copied & stolen on more than one occasion…nothing shocks me more than when this happens within a “creative” community! You expect the factory in China, or the Targets & Walmarts of the world to rip you off…but not fellow crafters, creatives and the like. There is SO much creative talent out there….please use it! Thank you Spoonflower for handling this issue in such a commendable way! ouch – I’m surprised the community didn’t notice more quickly, since Yasmine’s work is so notable. I’d like to give the offender party the benefit of the doubt, but it isn’t looking good. A professional photographer should know better. Thank you for reacting is such a wonderful and open manner and a big applause for Yasmine who is a true artist and very gracious! As a textile designer who depends upon a known original style to provide much of my income, I have been nervous about having my designs posted as public on Spoonflower; it is a tossup as to whether one wants the exposure or the risk. To show designs to a group of design-hungry people who will be influenced by what they see is always a risk. I have more than once thought that the designs featured in the fabric-of-the-week contests, if not out & out knockoffs, owe a great deal to trend: many are not very original. I view it all as a forum. But I do appreciate Spoonflower’s efforts to make downloadable thumbnails too small to be useful. This sad event is a useful opportunity to discuss a very real issue in our easily accessed digital world. Worth noting that the person in question has written to say that she is sorry and says she has written to Yasmine to apologize as well. sent an email to stephen and an email to the design creater but now I’d like to post this to the members of spoonflower. I apologize for all of this. I was NOT AWARE this was someones design. Over 2 years ago I found a livejournal icon with this design on it. I loved it so much that I wanted to make it into a livejournal background. So I saved the image to my computer and opened it in paint shop pro. There I spent hours repeating and retouching it to make it look the best it could. A few months ago I came across spoonflower and decided that the tree image would look amazing in a reusable shopping bag/purse. So I uploaded it to spoonflower and ordered me some fabric. I had NO IDEA this was someones design and hardwork. When I was contacted by spoonflower telling me it had been chosen to be in the christmas fabric contest I was soo excited. I love this tree design SO MUCH so I was so glad that I could share it on spoonflower for others to enjoy too. I still had no idea this was someones design. When I received the email earlier today from Stephen telling me that it was someones design and that my account was deleted from spoonflower and that they were going to be putting it on the blog that I had stole it. I was so confused. I obviously misunderstood the whole thing. I wasn’t aware this was someone elses design. I just thought it was some livejournal icon that they had got from who knows where and I didn’t know I couldn’t use it. I wasn’t trying to make a single dollar off of any of this. I just really loved the fabric and wanted others to enjoy it too. I have a purse made out of this fabric that I carry around everyday and I love it. I had NO IDEA I was doing anything wrong. I sent Stephen/Spoonflower an apology letter. I understand why I’m not receiving my 5 free yards of fabric and I understand why I’m suspended from the site. I am hurt though because it truely was a misunderstanding. I have an etsy shop and I design things.. I know that stealing is not right. I didn’t know I was stealing. I started a photography business this year after getting laid off from my job and I know how important it is to be original and be yourself. I want to apologize to all the member of spoonflower. But I am asking all the members of spoonflower to please understand that I made a mistake. An honest mistake. I’m also asking that you may not be able to forget what I did but please forgive me for what I did. I am also asking to please stop sending me hate mail and leaving mean comments on my blog. Please respect me that I made a mistake and that i’ve learned from it. I asked Stephen to please remove my website from the spoonflower blog. But I’m not sure if it is going to be removed or not. but I’m asking you from one person to another please don’t post mean and hurtful things on my website and business blog. I am trying to make a living like everyone else and this could seriously hurt my photography career. I am asking you to please understand that people make mistakes. I am very sorry. If you read my personal blog or my twitter or my facebook…you would see that I’m a very honest and trustful person. I would NEVER do this on purpose. Once again I apologize to all the spoonflower members. I know the damage is done and there is nothing I can do to fix this. I apologized to Jasmine and explained to her that this was NOT INTENTIONALLY. Please don’t cause anymore damage by bashing me on my website like the above person did. She got on there and left hateful and hurtful words but didn’t leave her name and email for me to email her and explain the situation. So I’m posting it here for everyone to see. I’m so sorry. I have to say that when I read through this whole thing my gut reaction was that this was probably not done in a malicious way – it was stupid and she should have known better, but I didn’t believe she did it to hurt someone else. I think everyone should follow Yasmine’s gracious attitude and give Melissa (and everyone) the benefit of the doubt. People screw up – and at least Melissa owned up to her misdeeds and apologized. Not much harm was done here and Spoonflower did a great job of cleaning up the mess quickly. I think this will end up being a good learning experience for a lot of people and Yasmine just earned a ton of positive publicity. She should correct it wherever she can – like on twitter, where she tweeted about her design winning. Thank you for reminding me. I did go thru facebook and delete everything but I forgot about twitter. I went thru and its all gone. Thanks again! If YOU didn’t create it, you have no right to USE it without permission, period, regardless of where it came from. SOMEONE created the icon and that person owns the copyright by default. PLEASE, everyone, go to http://www.copyright.gov/ and for international http://www.law.cornell.edu/treaties/berne/overview.html and do your homework. If you are in the business of art and design, you should know these laws and abide by them at every turn. Melissa, you say you are just trying to make a living…well so are the artists, myself included, who own the exclusive rights to exploit our own work as we see fit. I believe you’ve learned a very valuable lesson and as your photography business grows, you will better understand the rage that some of us are feeling. Melissa, on a final note, please use this experience to help educate others, then I for one, will forgive you. Thank you for your kind words. I hate that I caused such a problem and I wish I could take it all back. But..if this brings the orignal designer lots of new fans and new business than I am happy that this fabric is shared with so many. It’s a wonderful design. Thank you! Brenda – When I saved the livejournal icon to my computer, edited it, and uploaded it to spoonflower. I was only using it for personal use. I wanted tree fabric to make a purse/reusable bag. I IN NO WAY was trying to make money off of it. 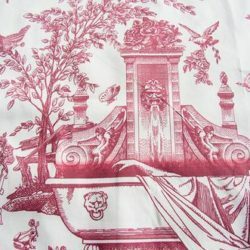 If I would have known that it was actually someones design who was selling it as fabric I would have just ordered the fabric from her in the first place. I had no idea… I will use this experience to help educate others. Thank you! Thanks for sending me the hurtful words. I apologized to the parties that I effected and I’ve apologized to the members of spoonflower. I made a mistake. People make mistakes. Luckily, this mistake was found and fixed before any major damage was done. I didn’t kill someone, I made a mistake by not thinking about what I was doing. The good thing out of all of this is spoonflower is more aware of these types of situations and the designer of the image is getting 5 free yards of fabric.. And on top of it all her awesome work is now being shared with more people than it was before. I am not happy with any of this.. traffic, attention, etc. I wish that spoonflower would have just deleted everything…and never mentioned one thing. But they didn’t..and now I have to live with that. It was a mistake. I wasn’t aware that this was someones design. I apologized. Melissa, I read your apology and I felt sorry for you… I actually thought you were genuine in saying that it was your original design. I wanted to give you the benefit of the doubt. That was until I looked at both designs more closely. If you take Yasmine’s original from her blog and overlay it onto the shot with the ruler on Etsy (which I did in photoshop) there is actually NO variation between the two. Nothing is different. The placement of each and every element is EXACTLY the same. As are the colours. The visual evidence can’t be disputed, no matter what you say. Shame on you! Personal use vs. commercial use is irrelevant. Again, if YOU didn’t create it, you CANNOT use it FOR ANY USE without the written consent of the artist who DID create it. Even if Yasmine wasn’t using it for commercial use, that doesn’t mean that YOU CAN. It’s hers to decide what to do with it. This may help you (and anyone else) understand how this can hurt an artist’s business – Say I create a unique butterfly. I license it out for scrapbook products. A year goes by and now I decide that I want to create textiles with my butterfly. I find a manufacturer who is interested and we sign a deal. They send it off to China, spend the money to market it, create samples, hire sales staff and ship it off to stores. This deal is exclusive, as most deals are. I promise my manufacturer that they are the only fabric manufacturer who can use this image. They in turn make the same exclusive deal with their buyers, (say, Hancock Fabrics for example). So all this money has been spent, I’m expecting payment for the use of MY image. SUDDENLY, the buyer is confused because she saw my butterfly on Etsy, printed on fabric and sewn into bags. Obviously, someone bought my scrapbook products and scanned them or downloaded a digital sample onto their computer and manipulated it into a repeat. So now the lawyers get called in….I’ll stop here. I think I’ve made my point. To many of us, our art is our product, our livelihood and the livelihood of countless others. Please respect it for what it is, personal property. You wouldn’t walk into my house and take my lamp saying that it was for your personal use, that you weren’t going to try to make money off it, would you? I’m guessing not. I hope this explanation helps. Best of luck with your own creative career. I would love to accept your apology, so I hope you can clear up a point I’m unclear about. You wrote, “Over 2 years ago I found a livejournal icon with this design” …However, Yasmine did not post the design to her blog until August 18, 2008, which was only one year ago. Do you know if she might have uploaded the design somewhere else prior to that from which a Livejournal user made the icon? I suppose this is something that Yasmine can clarify, if she happens to see this. This “Orphan Attitude” is becoming more and more prevalent as copyright is boldly ignored and any art found on the internet is wrongly considered public domain. The internet is not a beach where you find shells to take home. It is a place of business for most artists and designers. Bottom line- They didn’t create it and they have no right to take it any more than they have a right to take a car parked at the curb with no visible registration. I have had to personally send out 3 cease-and-desist orders since last year from people selling my work for profit on gift-ware and prints. Like Brenda- I license my work and such theft violates my contracts with legit manufacturers. I lose time and money fighting the theft of my work and it can invalidate a contract and seriously reduce my income. I’m not exactly sure of the date. I’m pretty sure it was atleast 2 years go. I’ve had my laptop since December of 2007. And the image is on my desktop which I haven’t really used since 12/07 after receiving my laptop. I’m not exact on the date. When I decided to use the design for fabric I did log onto my desktop to email the image to my laptop. Believe me, don’t believe me. That’s fine. I don’t have to prove anything to you. The two people that was most effected by this which was Stephen of Spoonflower and Yasmine were both apologized to. I mean don’t you think if I was doing this on purpose and actually trying to somehow get pleasure or make a dollar from this my account would have been full of peoples work and designs?? but it wasn’t. it had 1 design. which was this one. because it was an accident. Brenda – Thank you so much for explaining it to me like this. I honestly understand much better now. I mean I do understand copyright and stealing and all that…considering I am a photographer. I just wasn’t seeing this aspect of it I guess. Once again, Thank You! accept my apology, don’t accept my apology. it really doesn’t matter to me anymore.. I have apologized to the two people that were most effected by it and as long as they forgive me for a completely honest mistake than thats the best I can do. I have been in tears today over this and i’m to the point now that I’m over it. I hate seeing my name be dragged thru the mud and ruckus and everything else. I don’t know you…so I don’t care what you think of me. I will say I’m glad that you emailed me today and I was able to email you back so that you understood where I was coming from. There were other spoonflower members that wouldn’t put their email or name on it but would call me terrible, hurtful words. I only wish people felt this strong about the environment, animal rights, etc. and instead of pointing fingers at me, someone who honestly didn’t mean any harm by this and made a mistake, would turn their dirty words towards someone who is hurting animals, killing people, hurting the environment…etc. I know that stealing is a terrible crime but i did not realize i was stealing someones work. I can’t help but wonder how many others are doing this, and just haven’t gotten busted yet? I suspect it’s like fleas- for every flea you see, you have at least 10 ready to hatch. This is every artist’s worst nightmare…it’s amazing how polite Yasmine was in her letter. I think I would have tore a new one for little Miss Copeland! It sounds like Melissa’s had a very painful learning experience. Do we really need to make it any more painful than it’s already been? Yes, she should have realized that artwork must have some source, even if it appears as an icon on some random site. Yes, she should have been aware of the copyright issues involved. And yes, she should be glad that Yasmine was so understanding. It sounds like she gets it; enough. Really, though, these are lessons that all artists/designers have to learn at some point. Many of us are lucky enough to learn it in a class or the like rather than by an experience such as this, but sorry, folks–none of us was born knowing copyright law. In fact, most people require multiple law school courses and several years of research and experience in law practice to really understand it. I’m not saying that I fully understand copyright law either–not by a long shot–but I’ve certainly made it my business to learn as much about it as possible. (When you’re interested in retro-style design, copyright issues are migraine-inducingly complicated.) So, I’m off the topic of Melissa now–I believe that it was wrong, but was an innocent mistake, and that she knows better now, and will probably drive herself crazy trying to avoid ever making the same mistake again, poor thing. But–and it’s a BIG ‘but’–one thing that makes the whole topic so much more complex? We artists/designers tend to see copyright law as being what we WANT it to be, in our own little ideal world, rather than what it actually is. I personally made the mistake of thinking that a reasonable knowledge of copyright law would be enough, when I started selling my own designs. Shyeah! The companies I sell to have much much much more draconian rules than those found in copyright law. The thought of having your work stolen is indeed a nightmare for an artist/designer. But… (and keep in mind that I’m no longer talking about the case in point here) art is not born in a vacuum. Art is inspired by other art. It’s impossible to keep your art pure of influences from other artists’ work. How many artists, for example, have done a Warhol-esque piece of work? I know I’ve certainly seen several skillion take-offs in my lifetime. When you were taking that art history class, don’t you remember being told that this Italian renaissance artist’s work was copied by that Northern renaissance artist, who later went on to create such and so amazing world-famous piece? Do you think that the Mona Lisa would have existed without Giotto? If all the European artists hadn’t started stealing perspective techniques left and right from each other, where would we be? I think we all need to unclench a little, and remember how many famous artists were inspired by OTHER famous artists. I’m not saying that stealing ideas and calling them your own is a good thing; not at all. I AM saying that if many of today’s artists got their wish as far as copyright law interpretation goes, art/design/photography as we know it would fizzle and die. I’d certainly never be allowed to create art again, because I’ve seen other people’s art, and therefore might unintentionally make use of some technique I learned, or use a similar composition, or make a new piece of art in an old style. Shyeah. Pardon my Anglo-Saxon, but: beallucas! Art thrives on inspiration. …And can you tell that I’ve watched the copyright discussions ad infinitum? I have to say what has shocked me more in all of this is people’s attitudes. Like cats playing with an injured mouse! Attacking people in this way…no matter what they’ve done wrong..is ugly. The community on Spoonflower has been so great since I have been here…it’s not nice to see people who were not really affcted by this issue…being so mean. It’s over…the designer forgave her. People are not whiter than white and I expect this was one of those situations that snowballed. I don’t think the offender understands that ripping off someone’s idea from Live Journal is just as bad as ripping off Yasmine’s design from this blog. As soon as Spoonflower chose her as the winner, she should have stepped up — immediately stepped up — and said that the design was basically a rip of someone’s work from a Live Journal icon. I don’t think she understands that the onus was on her to advise Spoonflower of the situation as soon as she was chosen. It’s not a matter of being caught, it’s a matter of being honest to begin with. AMEN TO THAT. This is the most sane comment here. For instance, I have seen this style of tree in umpteen japanese design books and on cartoons and have made things myself with a similar aesthetic. Yes, I appreciate that this is an exact copy but the person in question has apologised (and hasn’t hidden away) so perhaps a bit of ‘benefit of the doubt’ is in order. Adiqshun- you are very lucky that http://www.youthoughtwewouldntnotice.com hasn’t posted anything about you. – I do understand it’s just as bad. When mentioning livejournal I was just trying to explain that there was NO WAY of me knowing where it came from. I had no idea.. and like I said earlier when I saved it to my computer and eventually uploaded it on spoonflower for fabric I never had any intentions of anything bad. I just thought it was okay to upload a design and print out fabric.. I never knew that it had to be YOUR design. My cousin just started at IU as a freshman this year. I wanted to get my aunt a custom made IU purse for christmas. So I was planning on taking an the IU logo and repeating it onto fabric and then uploading that to spoonflower. Would I have gotten this much grief from all of you if I would have done that? I mean it’s the same thing right…but I’m attacking a big school and not a indie artist..or whatever you guys call it. I’m just so tired of everyone pointing fingers at me..instead of wasting your time coming on here and bashing me and sending me the hate mail and all the dirty words why don’t you look thru spoonflower and see who else is doing it.. AND..they’re probably doing it on purpose… They spoonflower account is probably full of 4 or 5 different designs from all over. I HAD 1 design! I ordered 1 yard from it! I had 1 purse made! My intentions were not malicious!!! Thank you. By the emails and messages I’ve gotten on my website/blog/email you would think I was Michael Vick killing those pore innocent dogs or some serial killer. I apologized, I didn’t know that I was doing something wrong, I didn’t know that I couldn’t use someone elses design, even thought I didn’t know it was someone elses design. As soon as spoonflower contacted me…I contacted spoonflower back, apologizing. I contacted the designer, and apologized, and then contacted this blog and apologized to everyone here. I’ve done everything I can do. But I’m still getting the hate mail, so apparently thats not enough. First I would like to thank you for your kind words. It was and still is a very painful learning experience. I now know I need to read terms and services at places I sign up much better. I had no idea that you couldn’t use something that you didn’t create 100%. I thought as long as I wasn’t taking the fabric and selling it on etsy or ebay or wherever it was okay. I never knew who the original designer was. I do agree with you on the whole inspired by others situation. I’m a photographer and I read probably 200 photographer blogs a day. Getting inspiration, ideas, etc. I see the same poses or the same ideas over and over each day..BUT each photographer style is different. I could go to 5 different photographers sites/blogs right now and show you the exact same pose/idea BUT because each photographer’s style is different, especially the post processing, then it’s their “own.” I want to thank you for your words… seriously they mean alot to me. Out of the 100+ emails/messages I got about 6 positive emails and then this. It means a lot to me. I was very upset yesterday with the way the people were attacking me. I think more than anything it wasn’t some random chatroom or facebook it was a community of artists who I thought understood that people make mistakes. I understand if they wanted to come here and talk about the situation, but personally attacking me on my website and blog is really wrong. I was very upset that Spoonflower left my link up so long. They did eventually take it down but it didn’t matter because someone left a comment on this with the link anyways. So people are still sending me things. I also wished spoonflower would have gave me the opportunity to explain the situation before posting this EVERYWHERE. I know what I did was wrong NOW..but at the time I didn’t understand. I just received an email from spoonflower saying you stole this…etc. I didn’t understand. When I clicked the link that took me to the designers blog I was like..OH!!! I HAD NO IDEA! And before I could send an email to spoonflower explaining the situation my name had already been drug thru the mud. Again, thank you for explaining the copyright thing. I seriously have no idea of any copyright rules, and i’m a photographer. Perhaps thats something I need to look over sometime. Well, it’s probably best at this point to go quietly into the dark night. Lesson learned. As crafters and artists, there is certainly a good deal of worry associated with sending our work out into the world. Once it is publicly available, people have the ability to do anything that they please with it and it becomes very difficult to trust that everyone out there will follow copyright laws, let alone proper etiquette. So, I absolutely understand why this is such a hot button issue here. However, I also think that the person most affected here was Yasmine, who tactfully handled the situation from start to finish and graciously accepted Melissa’s apology. Perhaps we should all do the same. Perhaps I’ve missed something . . .
I’m looking for the link to Jasmine’s Spoonflower account. What is spoonflower’s policy on a contested design? In this case it seems the user owned up to using something they did not have the right to use, but what happens when one designers claim rights to a design and the poster stands behind thier design as there own. As more and more people become adept at graphic software it will happen more and more often. The internet is in someways destroying copyright laws for better or worse. File sharing is a huge part of the reason tower records closed all thier stores. I don’t think Jasmine has a Spoonflower account actually. She has been given the prize as a goodwill gesture and as an attempt to make amends…Spoonflower feature the winig fabrics of the week on Etsy…so the public can purchase it…. Sorry that you have become the scapegoat for people’s anger regarding this issue. I hope this doesn’t shake your own creative confidence and I also hope it doesn’t ruin any and all desire you have to interact with the internet commumity. I get that you get it and I think you have certainly and sincerely apologised over and over. I hope that the furious posters here understand the courage it has taken for you to sit here and apologise to each individual rage-filled comment. Like you (obviously) I think that the print-a-day work is awesome! Rather than posting so critically, maybe we should all look for ways to be more supportive – like purchasing from print-a-day, or spoonflower. Surely that is more usefully loyal to the artisan community than hate-filled ranting. I’m glad to see the discussion come around from vitriol to some kind of kindness and understanding. This is what I like to see from the indie craft community. Obviously, ignorance is not an excuse for theft, but I am surprised at Spoonflower’s willingness to expose Melissa to so much public abuse. Did they really need to post the Etsy listing? Or leave the comment with the link to her web site unedited so people can let her know “how they feel”? The same openness that allows an online community to thrive unfortunately also allows people to let their emotions fly without learning the whole story (or exposing their own identities). I have had to send cease-and-desists of my own, but never has the offender meant any malice and the situation was always resolved quickly and without harm. Copyright law can be very confusing. I see unintentional infringements at every craft fair I go to. What we need (and what some gracious and polite commenters provided above) is education, not verbal lynching. « Christmas Tree Fabric! New Voting!